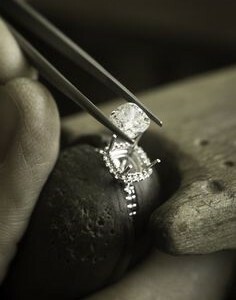 How are our custom engagement rings made? The term "custom made" carries a certain level of prestigiousness with it. It sounds like something only the rich and famous are entitled to. However that is not the case. Thanks to our advanced technological process and skilled professionals, we have made this accessible to everyone at factory prices! 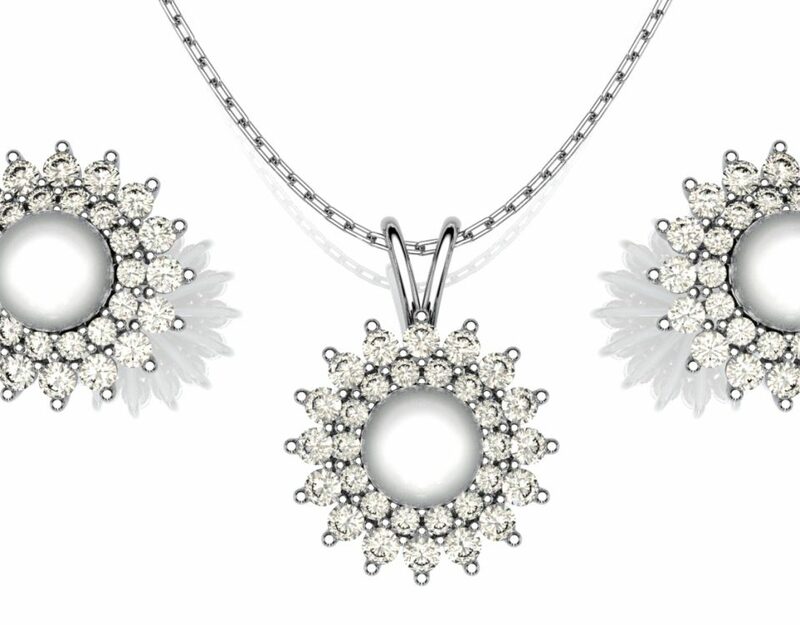 Most first time jewellery buyers are unfamiliar and uncomortable with the process of custom jewellery design and manufacturing and prefer the usual model of purchasing a standard item off a shelf. This blog is designed to show you how the whole process works, how simple it is, and why we believe you shouldn't buy your engagement ring any other way! This process starts off with you submitting any references, in the form of images. sketches, descriptions etc that can help depict your dream design. Having a clearly defined budget in mind is also vitally important as this allows us to select the biggest and best centre diamond, as opposed to quoting on a size that we think will suit the design well. Other than your centre stone and your design, the next most important factor you need to consider for your engagement ring is, which metal you'd like to have the ring made up in. We can manufacture in any precious metal of your choice. Once we have all the required information we can put together a final quotation for approval. 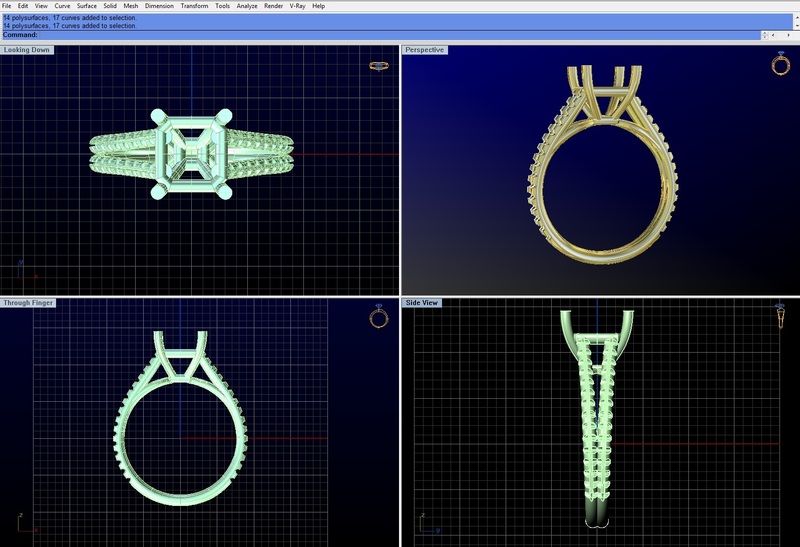 After this we have our team of highly skilled designers put together a 3D CAD design of your custom engagement ring. 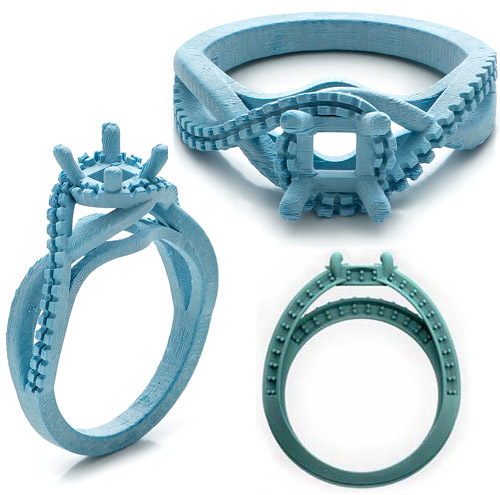 This allows you to get a fully dimensional view of exactly what your ring will look like once completed and therefore we can ensure that we are capturing exactly what you have in mind, and make any changes necessary to ensure the design is perfect. The first step of actual manufacturing has been made a lot easier by recent developments in modern technology. 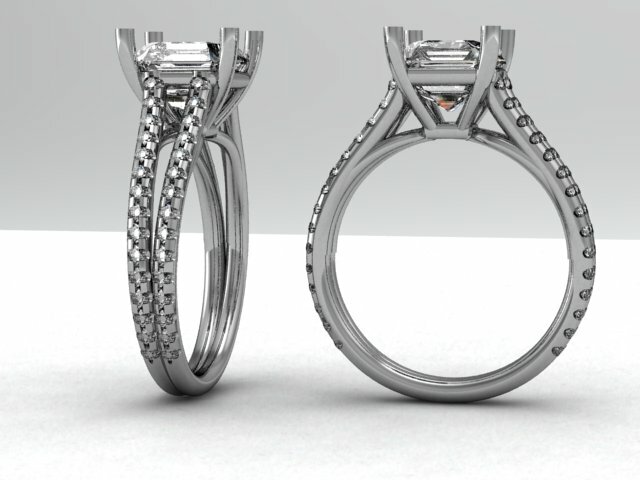 Your 3D CAD design is drawn up with exact sizing and specifiactions such as diamond and claw size, band width and ring size. This design is then transferred to a 3D printing machine and a fully proportional wax mould is then printed in a 2-3 hour printing process. Once the wax mould is completed, we scrutinise every element to ensure there are no imperfections before we move forward. Generally we never have any issues as our designers are extremely efficient, but we like to maintain a very high standard and therefore don't leave anything to chance. Once we are happy, the wax mould is placed inside a silicon tub where it is submerged in clay in order to create another mould. Once this is completed the clay mould is placed into a burning hot furnace and left to harden. Once perfectly "baked" the mould is removed and allowed to cool down naturally. If cooled too quickly the mould can crack and therefore be compromised. Once cooled, the allotted amount of the specific metal required is heated into liquid form and injected into the clay mould. This is how we get the metal to take on the exact shape of the design. Once again we allow the mould to cool down to room temperature before the clay cylinders are cracked open to reveal your raw engagement ring mould. The ring, now in its raw form is handed over to our skilled team of goldsmiths, where the centre diamond and accompanying small diamonds are set in place to add the sparkle to your ring. Once set, the ring is then once again checked over for quality control. When setting diamonds, the ring is often scratched and claws can be bent. We ensure that all claws are moulded back into place to securely hold your diamonds. Once completed the ring is then polished to remove all scratches and blemishes, before it is sent to be engraved if requested. The ring is buffed to to ensure a smooth and shiny finish all the way through. After which it is dipped into an ultrasonic bath which will get rid of any tough to reach sediment and ensure that all diamonds are tightly set in place. The finished product is then thoroughly inspected to ensure there are no imperfections, before it is boxed and packed to be delivered. Would you like to have your engagement ring custom designed? Give us a shout so we can get the ball rolling! Why is Platinum a Great Choice?